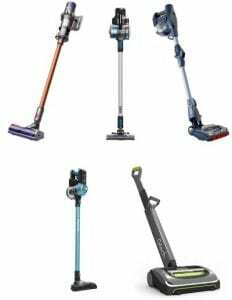 Over the past decade or so, bagless vacuum cleaners have become the preferred vacuuming option for consumers. There are several reasons for this. Bagless vacuums don’t need new dust bags every month or so, which means you can save some money. You don’t have to change the filter as frequently as in the case of bagged vacuums. It suits the modern fast-paced lifestyle, as you can simply use it, empty it and store it away. It’s environmentally friendly as well. 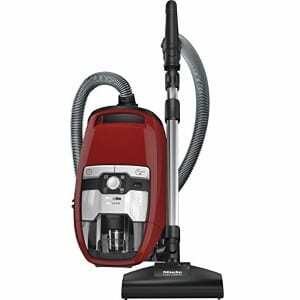 However, bagless vacuum cleaners also need periodic cleaning and maintenance. There are four key sections or areas that need your attention. Dust Cup and Chamber: This is where the dust, dirt and debris accumulate. It’s usually transparent and is located inside an airtight chamber. Filter(s): Filters separate the dust and/or dirt from the air sucked into the vacuum cleaner. Some vacuum cleaners have more than one filter. Airways, Cavities and Hose: There are several airways and cavities in a bagless vacuum cleaner, which are potential zones for blockages. Similarly, the hose can get clogged as well. Brushroll and Other Attachments: Hair and other debris might get stuck in the brushroll and hinder its performance. I know you might have a busy day ahead of you, but take a few minutes and empty the dust cup every time you use it. This serves a twofold purpose. Firstly, you don’t have to go through the cumbersome process of emptying an almost full dust cup. Secondly, it reduces the chances of dust, dirt and debris entering either the filter or the motor. Usually, the dust cup is placed inside an airtight chamber. In some vacuums, you have to completely pull out the dust cup to empty it. While in others, the chamber can be separated from the vacuum as a handheld section and emptied. You don’t need to clean the dust cup every time you use it, but it makes sense to at least clean it once a month. Remember to unplug the charger and switch off the vacuum cleaner before you begin the process of cleaning the dust cup. Pull out the dust cup and hold it over a bin to empty it. Tap it gently to ensure that any debris that might be stuck inside is loosened and removed. Use a moist soft cloth to clean the dust cup. Pay special attention to any angular sections inside the dust cup. If you find it difficult to reach inside the cup, then use a soft bristled toothbrush to reach in and loosen any obstinate dirt or debris. Follow up with the soft cloth to clean it properly. Let the dust cup air dry as long as required. It shouldn’t take more than 24 hours. Once it’s completely dry put it back in the vacuum. The filter is crucial to how the vacuum functions. It’s a sophisticated but delicate part of the machine. You need to clean it regularly because that ensures the dust and dirt separation capabilities of the filter remains at the optimal level. If a significant portion of the cleaning time is spent on tackling carpets and rugs, then remember to wash the filters a little more frequently. This is so because high suction power is required to deep clean carpets and hence the chances of some dust remaining in the filter is greater. Just like in case of the dust cup, first, make sure the vacuum is disconnected from the charger and switched off. You will have to consult the user manual to safely and cautiously pull out the filter from the vacuum. This might involve removing certain exterior sections of the vacuum. First, take the filter over to a dustbin and tap on it gently to remove as much dust trapped inside as possible. Next, hold the filter under tap water and let the water run through it. Do not use any form of soap or detergent to clean the filter. Once you’re done, gently tap the filter to remove excess water. Lay it on a cloth and leave it to air dry for about 24 hours. It’s crucial that the filter is completely dry before you put it back in the vacuum cleaner. If your vacuum has a high-efficiency particulate air (HEPA) filter, then follow the cleaning instructions provided in the user manual as they may differ from the instructions above. You should typically clean the filter at least once every three months. However, in case there’s a drop in the suction power of the vacuum or if it’s not cleaning dust as well as earlier, then clean the filter. There could be other reasons for the drop in suction power as well, which I will address later. 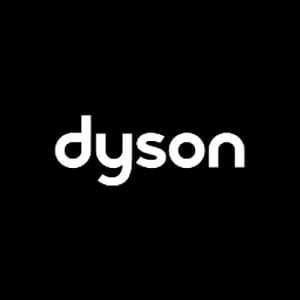 Note that certain brands like Dyson, Shark, Miele, etc. provide filter indicators in some of their vacuum models, which indicate when the filter needs to be washed. 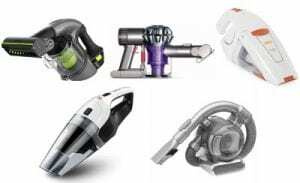 It’s possible that debris might get stuck inside the wand, the hose or any of the airways and cavities inside the vacuum cleaner. This reduces the suction power of the machine and prevents it from pulling in dust and dirt. Follow the instructions mentioned in the user manual about how to detach each part of the vacuum. This might vary from vacuum to vacuum. Once you have detached a particular part inspect it and remove the debris blocking in carefully. Follow the instructions to put the detached parts back on and test the vacuum to check if the performance is back to normal or not. Hair, especially pet hair and other debris like threads can get stuck in the brushroll, preventing it from functioning properly. The brushroll is usually a detachable unit. So, you can pull it out and carefully cut off any hair or debris stuck in it. 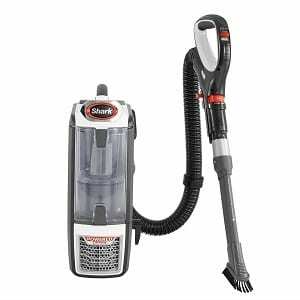 Some vacuum models have a separate attachment specifically for pet hair. You might have to do carry out the same procedure for that as well. Following the above steps will ensure that your bagless vacuum cleaner is clean and performs at optimal levels. Do this on a regular basis and you’ll have a worry-free cleaning experience!